Get geared up for a ride in this bold graphic tee by Nano. 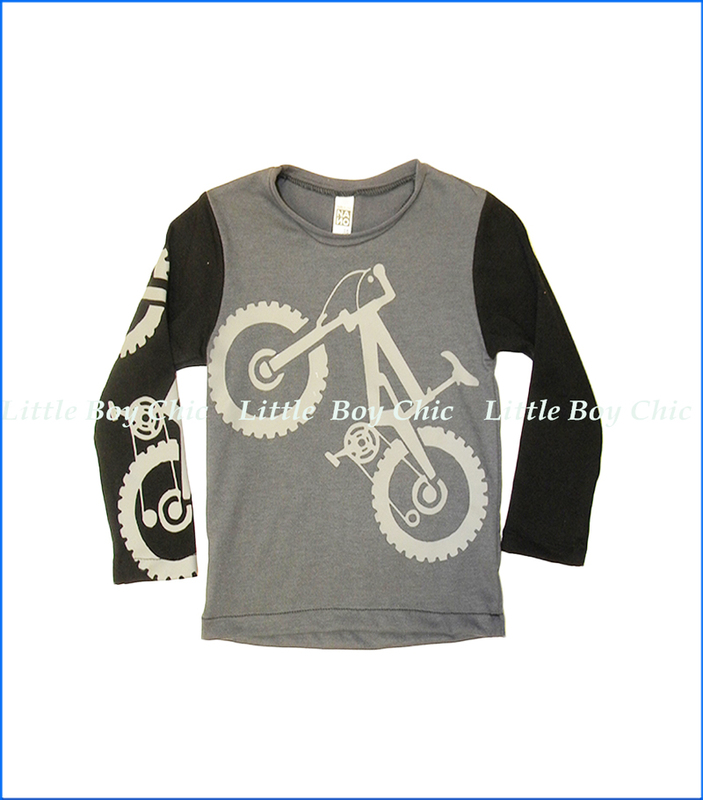 Mountain bike graphic in front and on the sleeve. Long sleeves. Quality cotton is sturdy and durable with a bit of stretch for comfort and fit. Raw edge crew neck.